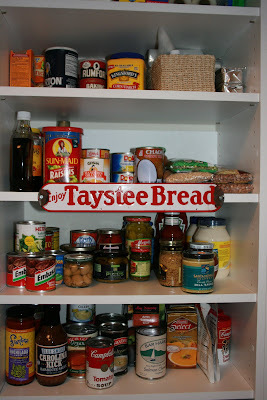 I love to cook and stumbled onto a great blog called The Perfect Pantry. 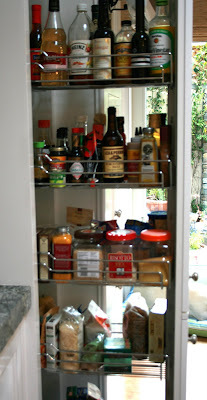 Each week she features " Other peoples Pantry's" It is really fun and a little bit of voyeurism. 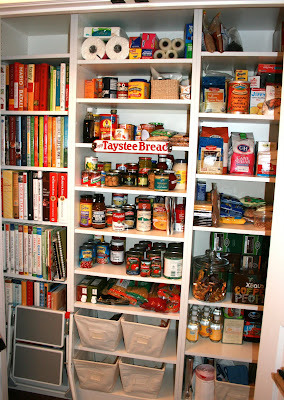 I have to add that some of the pantry's are sort of scary. Many seem to be very unorganized but there have been so many that are knock your socks off amazing and full of incredible ideas. 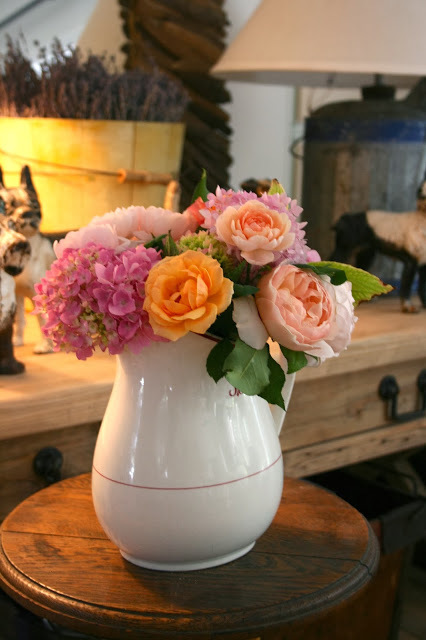 This blog is also an unlimited resource of great recipes and cooking expertise. 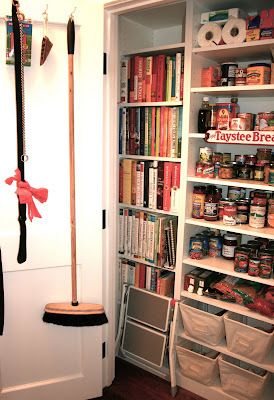 Above is a hall closet that was for coats and shoes that I converted into a pantry. Not a big challenge, however it proved to be important to me as a cook. 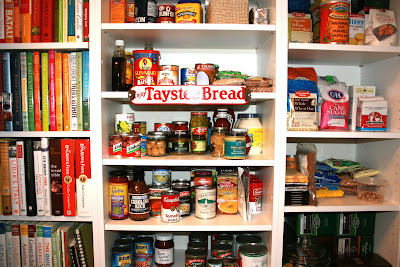 I'm sort of a neat freak and keep this pantry pretty much stocked and organized most of the time. 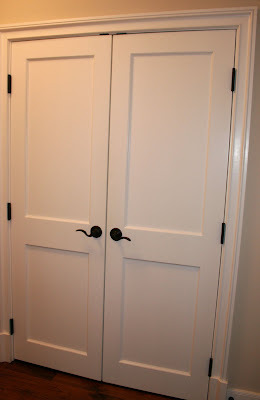 Here is the new closet. Left of the pantry stuff is a cookbook collection. I have sort of quit buying cookbooks lately. Lack of room and alot of the new books are "repurposed" from an earlier book. Just my opinion. 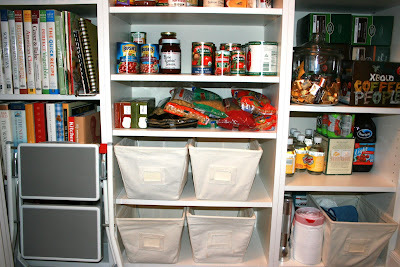 I use the canvas storage on the bottom shelves for onions and garlic, potatoes and dog chews. Top shelves are for baking goods. 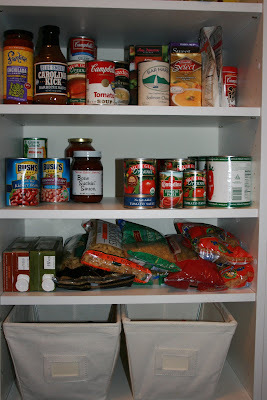 Middle for condiments and soup and miscellaneous below. I also have my reusable shopping bags and dog leashes on the door hooks. This little sign adds a bit of fun when the doors are opened. 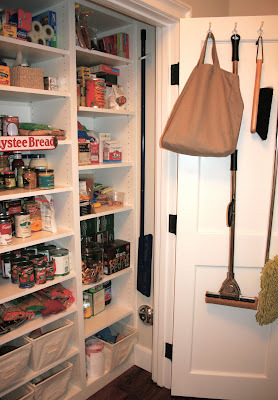 Below is the "grab and go" pantry right next to the stove. 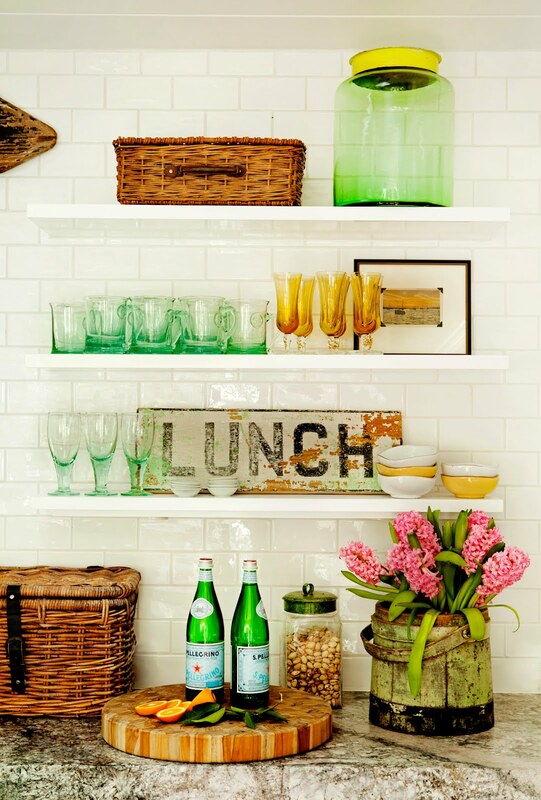 All of these items are used almost daily and don't need to be refrigerated. ie: oil, vinegar, rice and pasta. 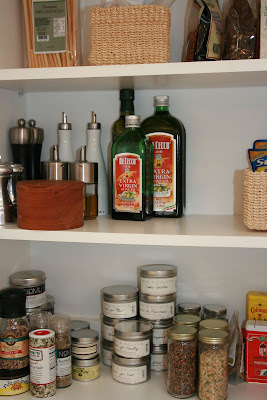 The last part of my pantry is the spice and seasoning area located on the opposite side of the stove, for crackers, cookies and bread and dry spices. 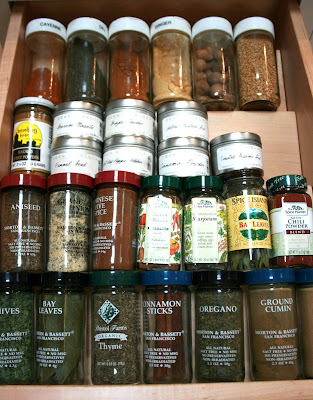 I try to keep my spice collection to a minimum and toss unused stuff at least every 6 months. Kelley - this is magnificent. How lucky you are to have this space. 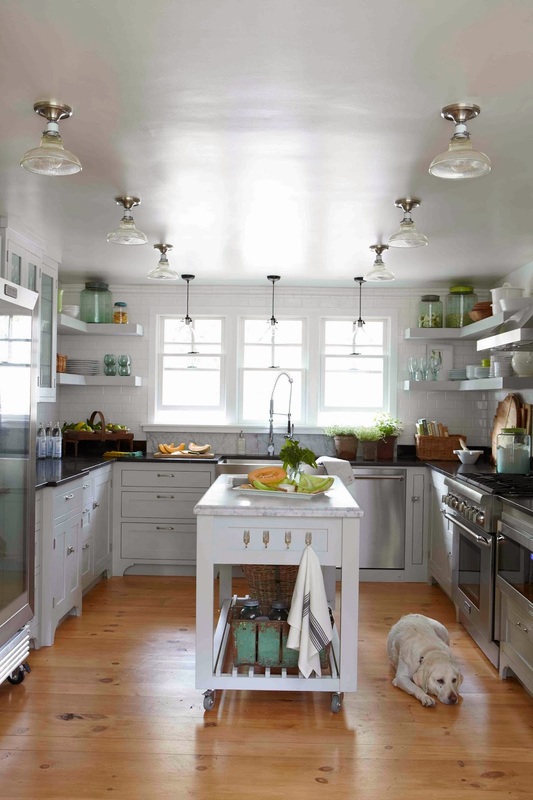 Scott would just die for a space like this in our house. Perhaps one day I can fashion something in the basement! :) Saving this to my inspiration file - hope you don't mind.